A few Democratic state representatives introduced legislation last week to increase protections for immigrants in Illinois. The bill would no longer require schools, medical facilities and places of worship to give access to federal immigration authorities or local law enforcement working on their behalf. Illinois lawmakers introduced a bill on Wednesday that would expand the state’s protections for its immigrant population. 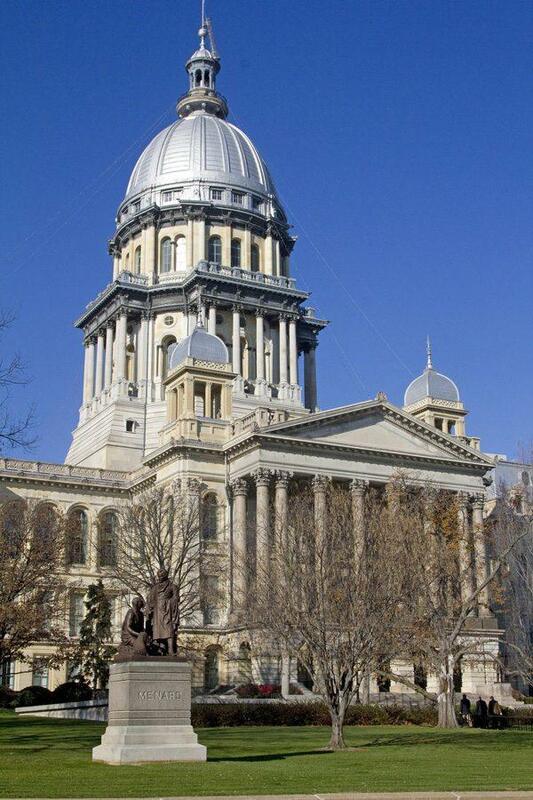 Bills introduced to the Illinois House would no longer require schools, medical facilities and places of worship to give access to federal immigration authorities or local law enforcement working on their behalf. Another bill would lessen the obligation of local authorities to report activity to immigration officers. The move comes after President Donald Trump signed a series of executive orders on immigration, ranging from a proposed border wall with Mexico to a temporary halt on travel from citizens of seven Muslim-majority nations, which has been stayed by a federal court. Rep. Chris Welch (D-Westchester) introduced a bill which would “establish protections for immigrants from immigration and customs enforcement, or agencies working with ICE,” Welch said at the news conference Wednesday. The bill would prevent employees in schools and universities from asking about a student’s immigration status or that of their family members. The bill would also require the Department of Human Services to help provide training in the affected places on how to deal with immigration issues and how to notify families of those issues in multiple languages. Welch and two of his bill’s co-sponsors, Hernandez, and Rep. Theresa Mah (D-Chicago), as well as Mony Ruiz-Velasco, the executive director of PASO, a suburban Chicago immigrant organizing group, spoke at the news conference in support of the bill. “It is our obligation here in Illinois to do what we can to stabilize the economy, provide safe spaces for immigrants so that we can continue to be a strong state and … fight against the possibility of families being ripped apart,” Mah said at the conference. Welch told The Daily that the Immigration Safe Zones Act would not fall under so-called “sanctuary status.” It still allows law enforcement and immigration officials to, when carrying a verified warrant, ask for the immigration status of people in the proposed “safe zones.” Thus, Welch said, the bill complies with all federal laws. “We want our children to feel safe at school, people to access lifesaving and necessary medical service, and we want people to feel safe when they’re attending religious services with their families,” Ruiz-Velasco said at the news conference.